The ridge between Red Pike and High Stile is a fabulous ridge to walk. Along the way, Chapel Crags Gulley looking down to Bleaberry Tarn is one of the best places for photography. 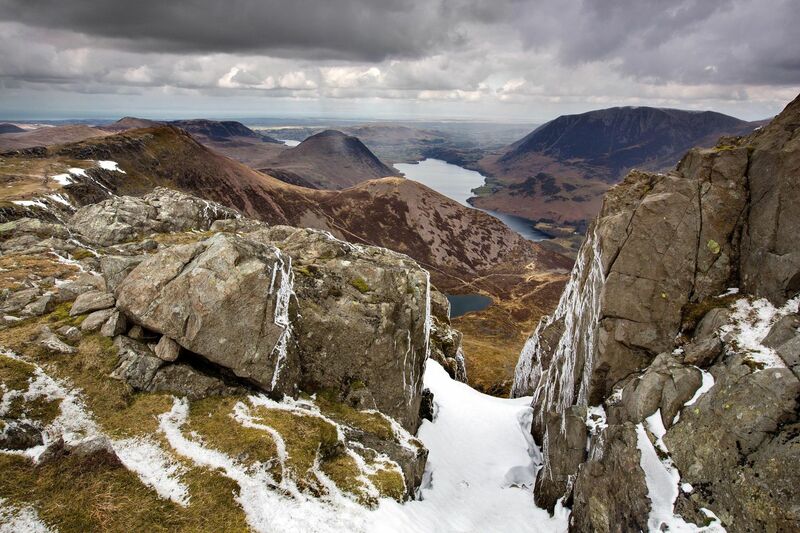 The gulley was deep with snow which leads the eye beautifully towards the tarn with Crummock Water in the distance.